December of 1969 was a fitting end to a turbulent decade in American history: the Black Panthers were under attack in LA; The Jackson 5 made their first appearance on The Ed Sullivan Show; John Lennon was offered the lead role in Jesus Christ Superstar; Arlo Guthrie released Alice’s Restaurant; and on Sunday, December the 6th, more then 300,000 overly ecstatic fans attended the Rolling Stones free concert at the Altamont Speedway in California. Four people died that on tragic day, and countless others were injured. 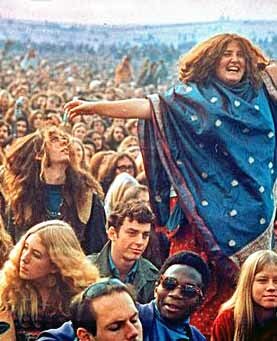 Some critics claimed it was the final death knell for the “Age of Aquarius” – a total knockout blow to the abiding myth of rock & roll innocence. The three songs the Stones recorded there, “Brown Sugar,” “Wild Horses,” and “You Gotta Move,” created the solid foundation upon which that album was built – a musical testament that cemented their hard-earned reputation as one of the most dynamic band of brothers in the history rock music. I thought it was one of the easiest and rockingest sessions that we’d ever done. I don’t think we’ve been quite so prolific…ever (laughs). 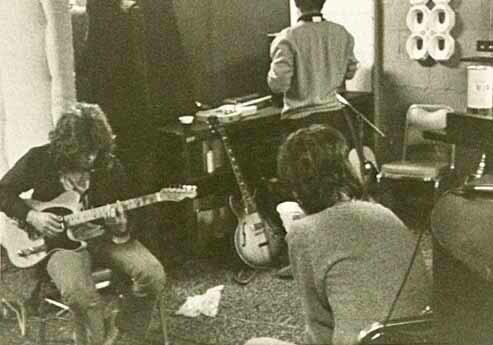 I mean we cut three or four tracks in two days, and that for the Stones is going on something! We left on a high with “Brown Sugar.” We knew we had one of the best things we’d ever done. Those sessions were as vital to me as any I’ve ever done. I mean, all the other stuff—”Beggars Banquet,” and all the other stuff we did: “Gimme Shelter,” “Street Fighting Man,” “Jumpin’ Jack Flash,” you know? But I’ve always wondered…that if we had cut them at Muscle Shoals, if they might not have been a little bit funkier? The first six photographs found below were given to me by Jimmy Johnson, co-founder of the Muscle Shoals Sound Studio and the versatile guitarist for the Swampers. He was also the engineer behind the console during the remarkable three day session, and the person credited with capturing that choice piece of rock & roll history. 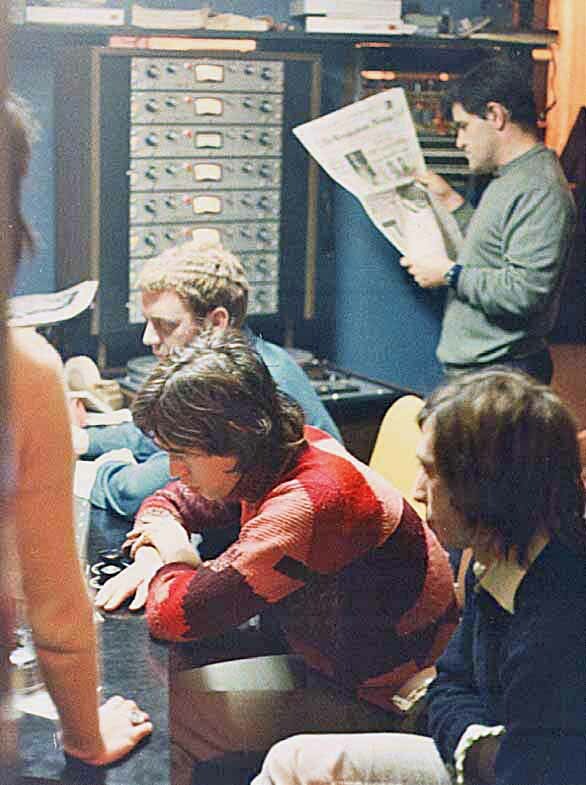 These photos offer a private, almost intimate glimpse into those few days: Ahmet Ertegun, sitting quietly in the back, waiting to sign the group to Atlantic Records; Mick Jagger, nailing the percussion on Brown Sugar; Keith Richards, closely watching Mick Taylor work out his part on a blonde Telecaster (possibly Micawber? 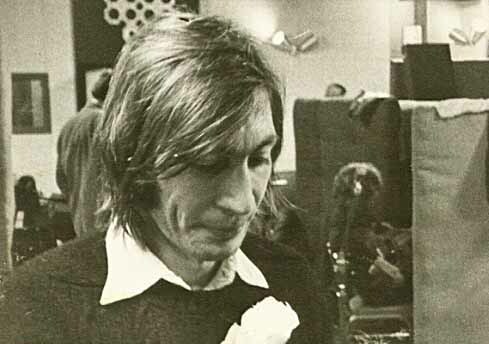 ); Charlie Watts, taking a quiet break from the action – all presented here for the very first time. This entry was posted in Muscle Shoals Sound Studio and tagged Ahmet Ertegun, Altamont Speedway, Jimmy Johnson, Muscle Shoals Sound Studio, Sticky Fingers, The Rolling Stones, The Swampers. Bookmark the permalink. Thank you for sharing these amazing photographs! I love the story. The photos truly are a glimpse back in time. 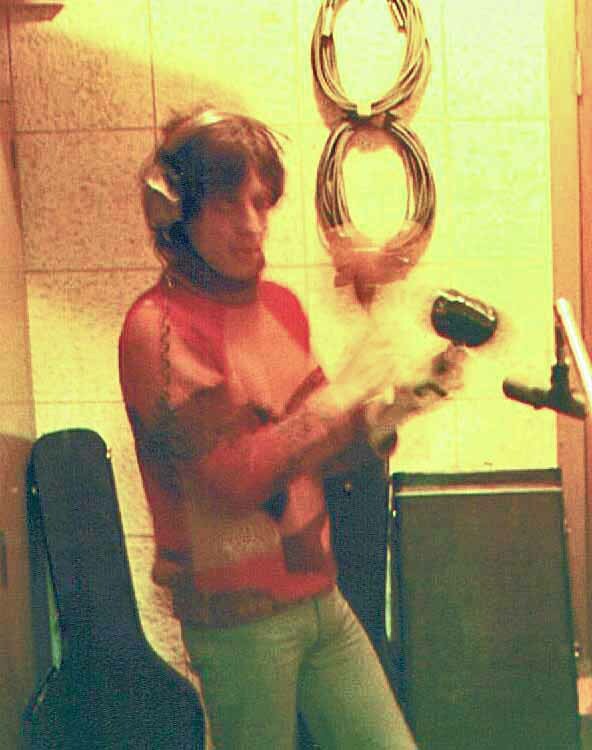 It looks like just another day in the recording studio, until you realize that the Stones were recording three of the most iconic songs in rock and roll history. Muscle Shoals looks like an ex-funeral home. Any chance that’s true? You’re close. 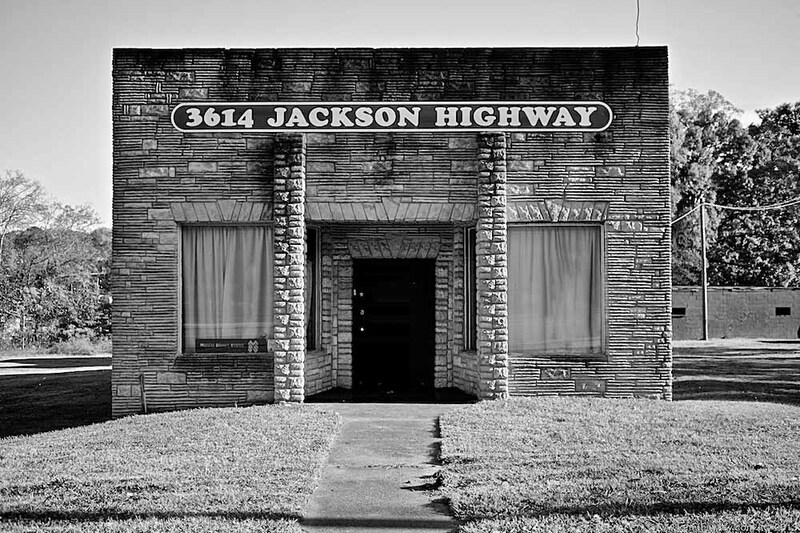 The building was constructed in 1945, and at one point it was used to store headstones and grave slabs before opening as the Muscle Shoals Sound Studio in April of 1969. It is currently listed in the National Registry of Historic Places, and is scheduled to reopen as a full service recording studio after undergoing major renovations beginning in the fall of 2014. 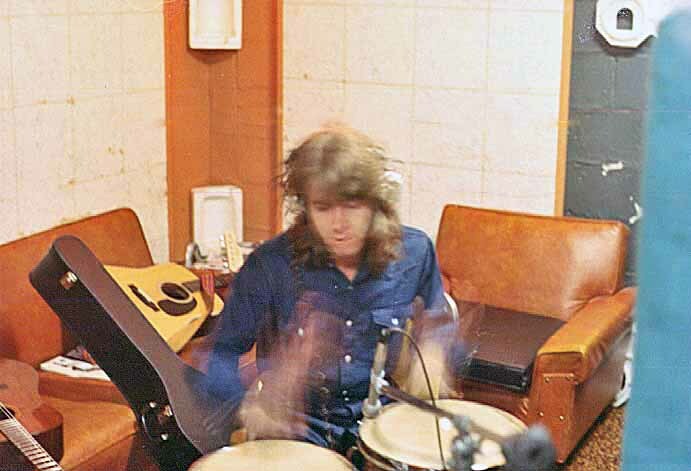 With his wonderful timing, I KNEW in my heart that Mick Taylor was a secret percussionist :=) Thank you so much for sharing. Great photo!! The MS sessions pre-date the arrival of Micawber by two calendar years, 69-71. Cool pics- It’s funny what people recall. 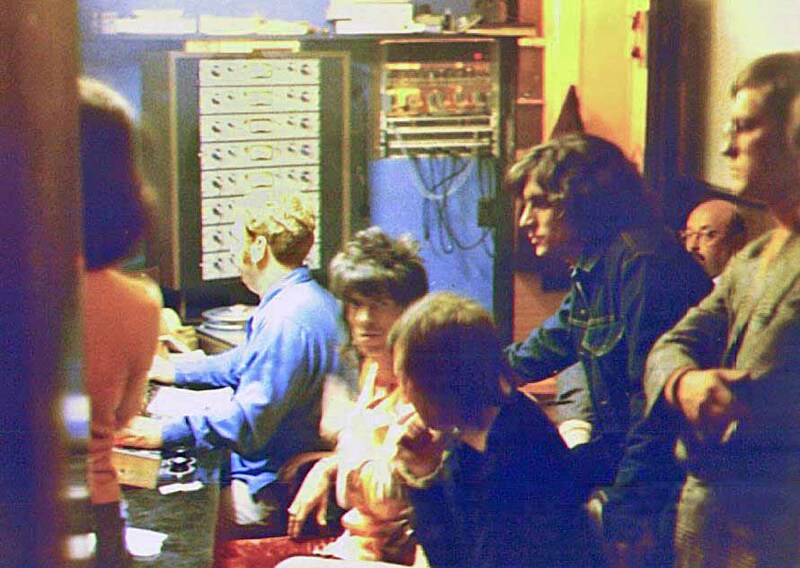 Jim Dickinson said no one else was present at those sessions except him and Jimmy Johnson – and of course, the Stones. Clearly the photographic evidence says differently.